This guy left his girlfriend with the dog for 10 mins while he went shopping. He couldn’t believe his eyes when he came back and was greeted with this sight. 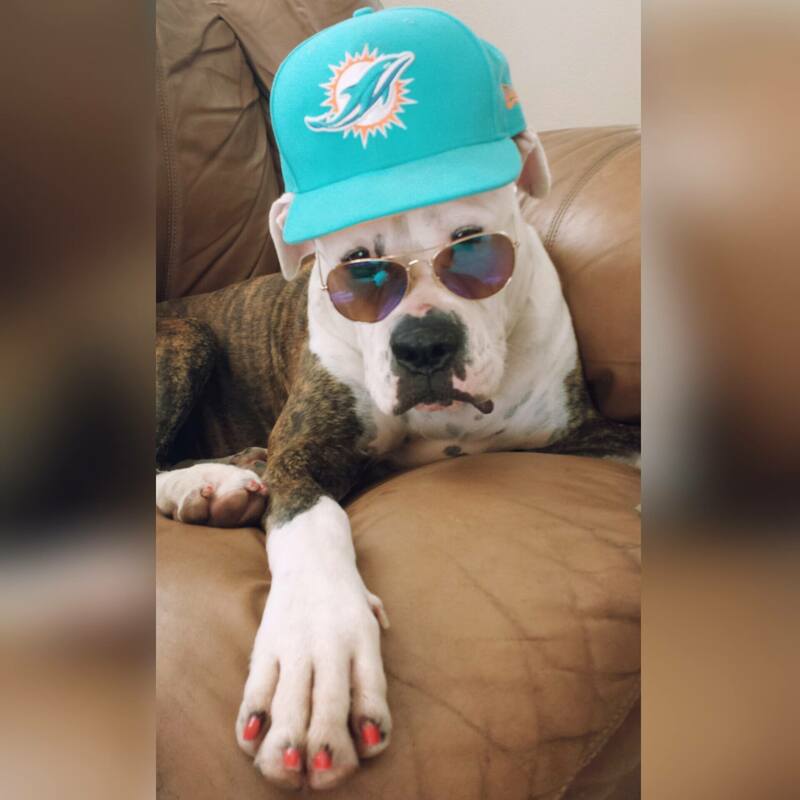 His tough dog was transformed into a nail polish wearing, Dolphin’s fan. This was really shocking as he has told her time and again that he is an Eagles fan!